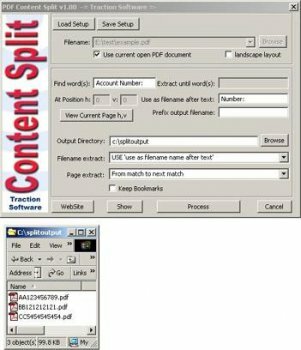 PDF Content Split can split on text information within the PDF. This is an ideal product if you had a PDF statement that needed splitting up on account number. It would do this with ease by searching for words within the PDF, marking start and end ranges and then automatically splitting the document up for you.